In 2016 students from Wilford School took part in the Experiencing Marine Reserves programme, which takes groups of school children snorkelling to experience their marine environment. 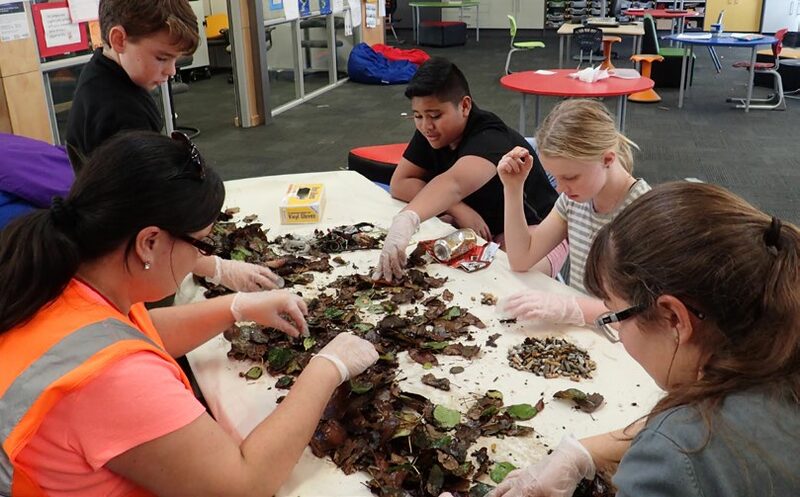 After snorkelling in Taputeranga Marine Reserve and comparing this to their local rocky shore snorkelling spot at Lowry Bay, students identified litter washing up on local beaches as the problem they wanted to tackle. A small group of students decided targeting the source of the marine pollution problem through education and raising awareness about where it was coming from would be the best way to achieve positive change. They wanted to capture and monitor the litter travelling down roadside stormwater drains, which all lead to the ocean without being treated, and then share this with their local community. Stormwater360 donated two LittaTraps to the school to assist the children in their monitoring. LittaTraps are designed to capture litter and other solid pollutants heading into the stormwater drains and prevent them from reaching the ocean. The students had one installed in the heart of Jackson Street’s busy shopping area, and the other installed in amongst the housing area. This allowed them to compare pollutants found from the commercial and residential ends of Jackson Street. In the twelve weeks of monitoring, the students collected 2,680 pieces of litter from two drains. That meant 2,680 pieces of litter that didn’t end up in the sea. Half of these pieces (50 percent) were cigarette butts. The other litter included plastic, aluminium cans, polystyrene, wood, broken glass, straws, soft drink bottles, parking tickets, library receipts, food wrappers, cardboard, and fabric. The stormwater drain outside the cafes and restaurants collected much more litter than the drain outside the houses. The two drains that the students investigated collected 2,680 pieces of litter over 12 weeks. This meant that one drain would have sent about 1,340 pieces of litter to the sea in 12 weeks. 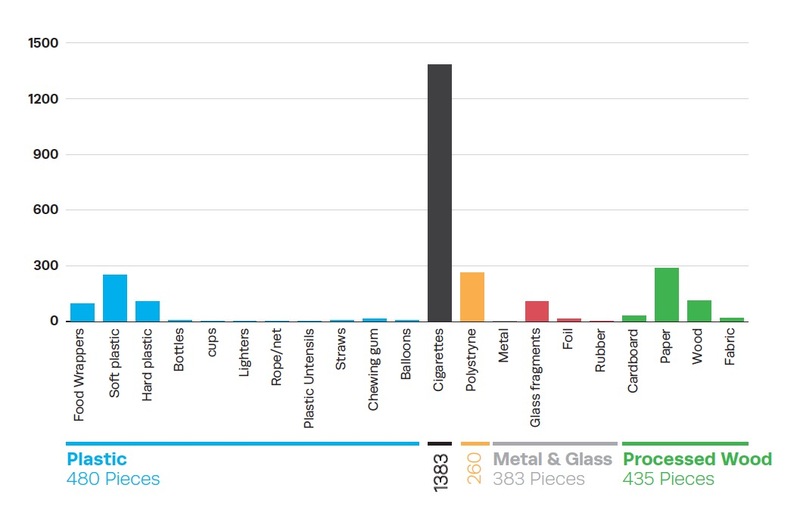 And each week, one drain would have sent about 110 pieces of litter to the sea. To work out how much litter this is over one year (52 weeks), the students multiplied 110 by 52. There are 93 stormwater drains in and around Jackson Street, all leading to the sea. If one drain sends about 5,720 pieces of litter, then 93 drains could send 531,960 pieces of litter into Lowry Bay every year. That’s over half a million pieces of litter. The students presented their findings to community members. They had kept all the rubbish collected so this could be revealed to those attending. Parents, community members and local councillors were shocked to see just what the students had found and supported their message of needing change to happen. In many ways the realisation that there is a lot of litter going down our drains and that we need to do something about it is easier for children. Children’s views and actions are not restricted. Children do not think of reasons not to do things. This study has shown how children experiencing plastic and litter in their local marine environment can drive change. It also demonstrates how learning about the sources of these pollutants and how they make their way to the ocean, can influence a community.